It’s crazy we are finally at the weekend where everything is happening! We will be closing on both houses and moving in the next few days. It is so exciting! 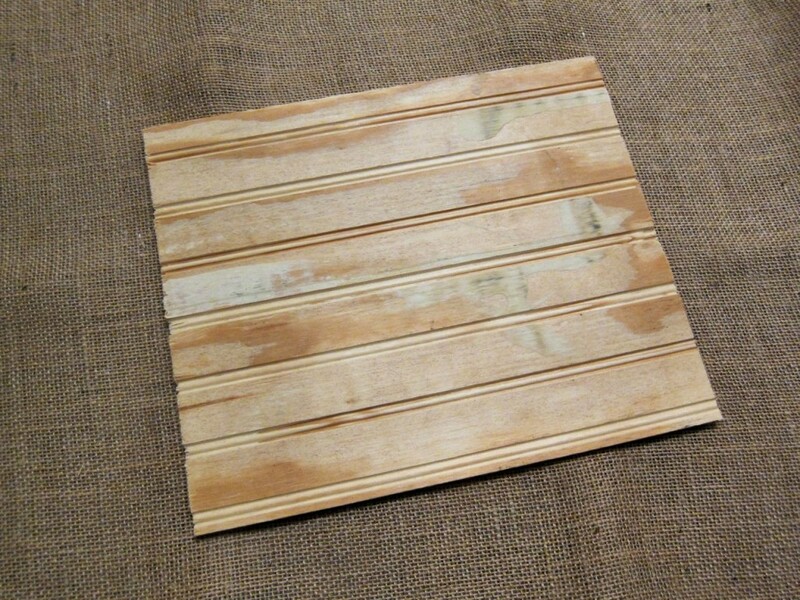 I want to give you a quick DIY project you could do over the weekend. 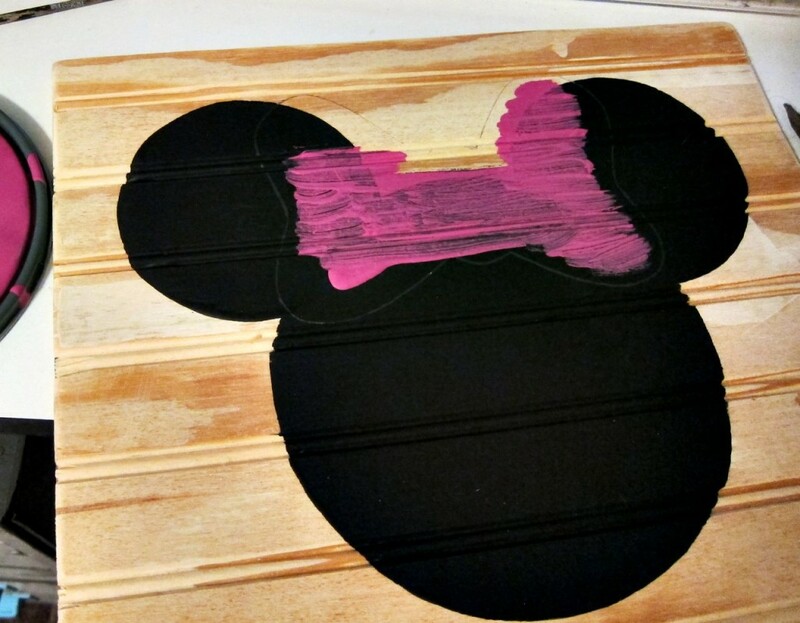 In my post about Reagan’s dresser makeover with Disney paint, I showed a few decor items I have made to help decorate her room. 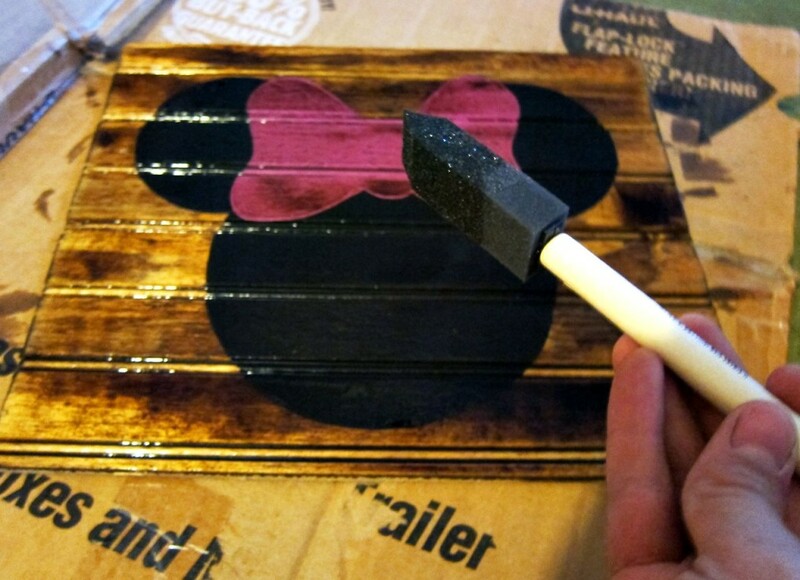 One of those decor items was this simple Minnie Mouse Silhouette. 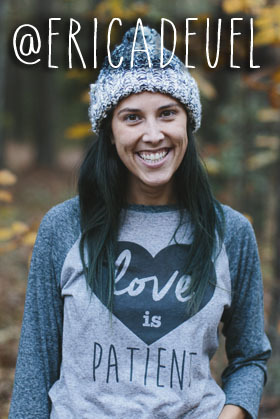 It was such a quick and easy project that you could knock out quickly! 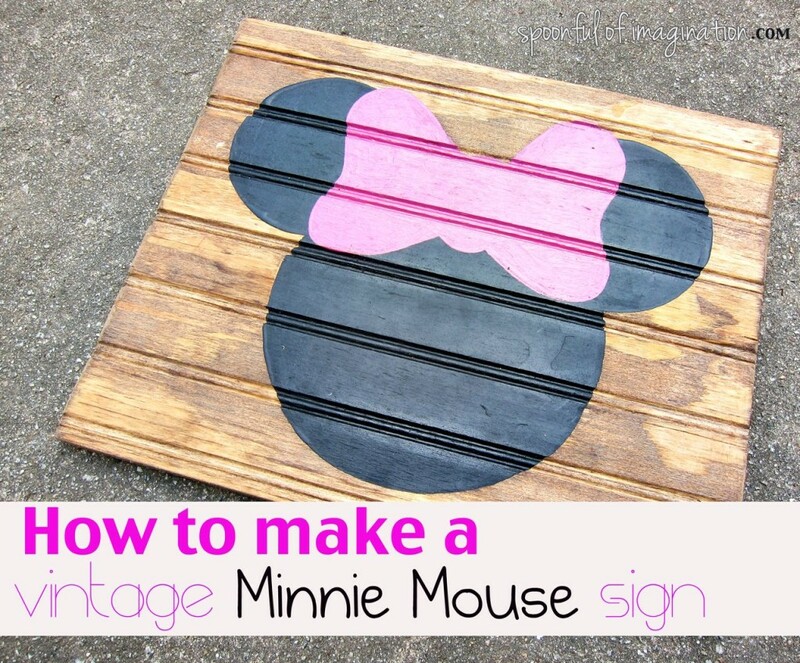 Here are the series of steps to do, so you too can create one of these subtle but fun Minnie Mouse vintage signs. 1. Find an old piece of wood. 2. Sand the wood really good on the sides and top. 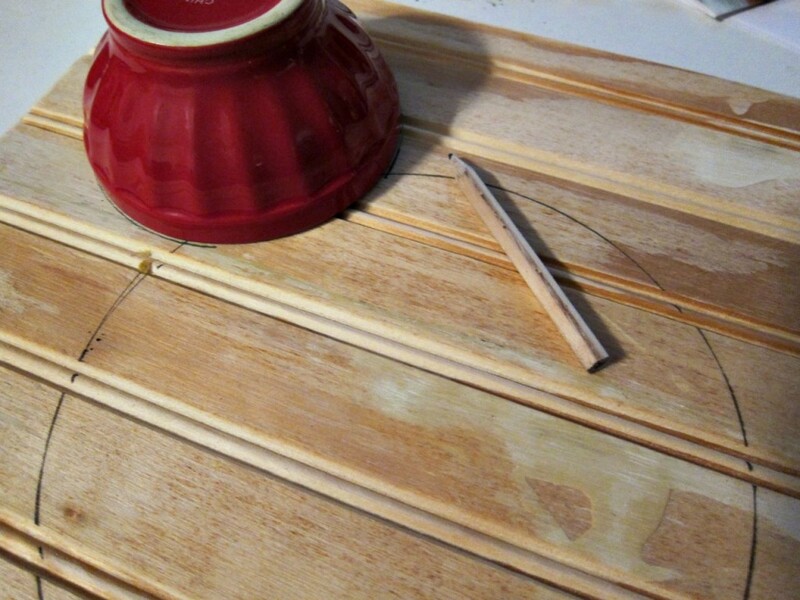 This will lessen the cause of splinters and make it look more finished. 3. Find bowls that look proportional to the size of Minnie’s head and ears. 5. 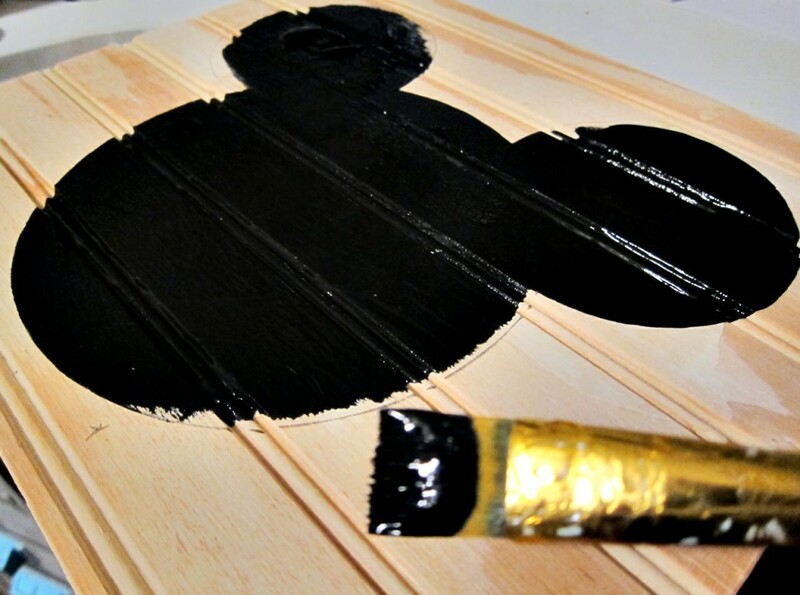 Paint inside all the circles to create a solid Minnie Mouse silhouette. 6. 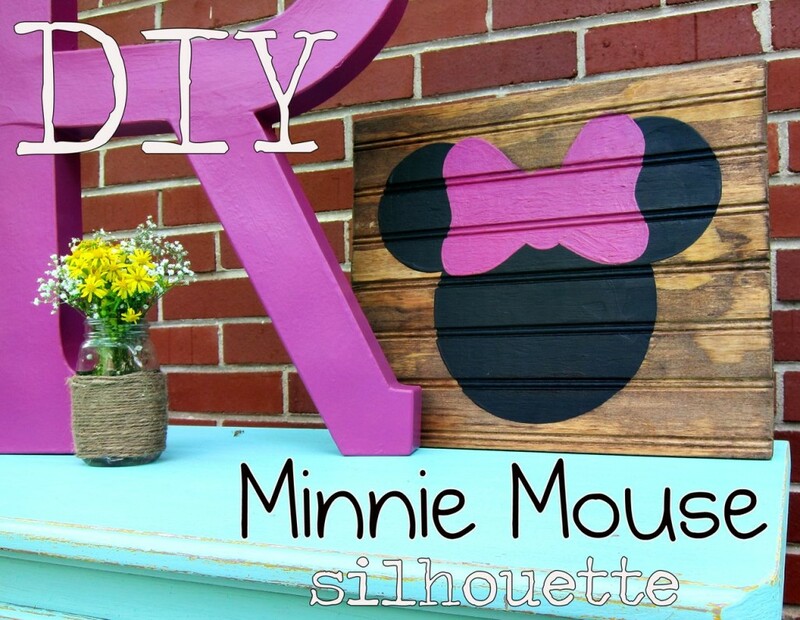 Draw a bow on a piece of paper and cut it out. Lay it where you want it to go. 7. 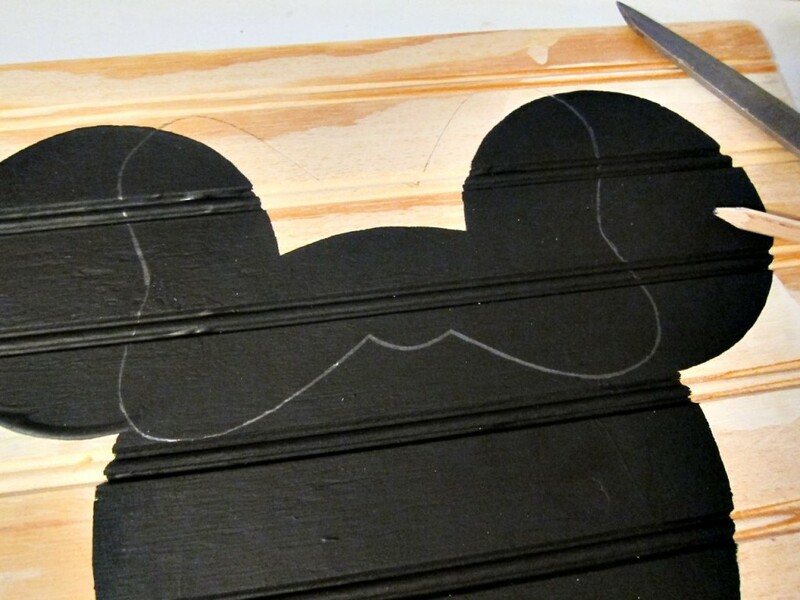 Trace around the bow, so you have it stenciled on to your sign. 8. Paint in the bow. 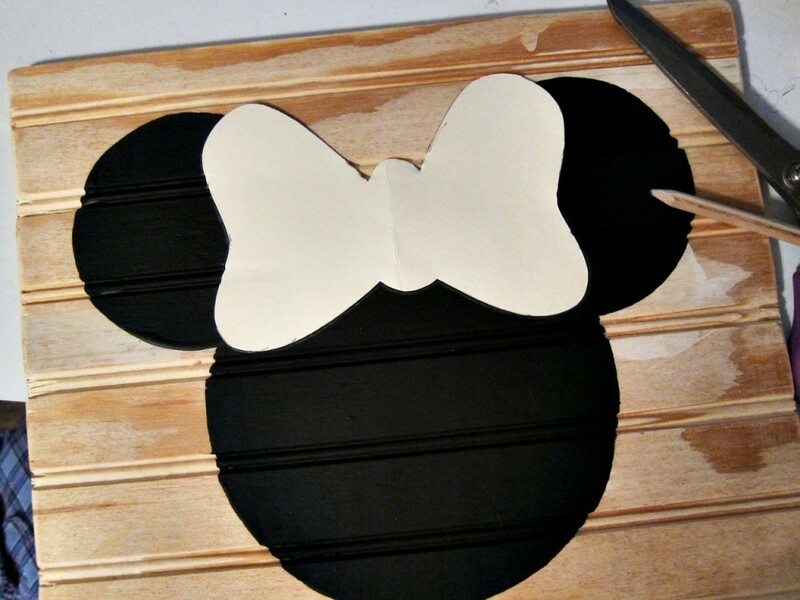 I used Disney Paints’ Fashionista paint color to color in my bow. 9. 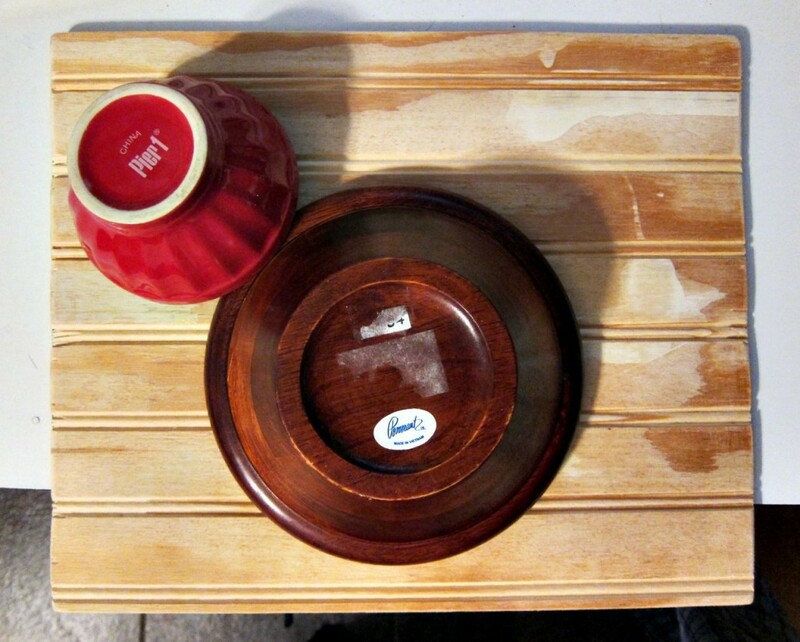 Once the paint is dry, give it a nice coat of stain. This creates a more vintage, subtle, yet stunning design. 10. 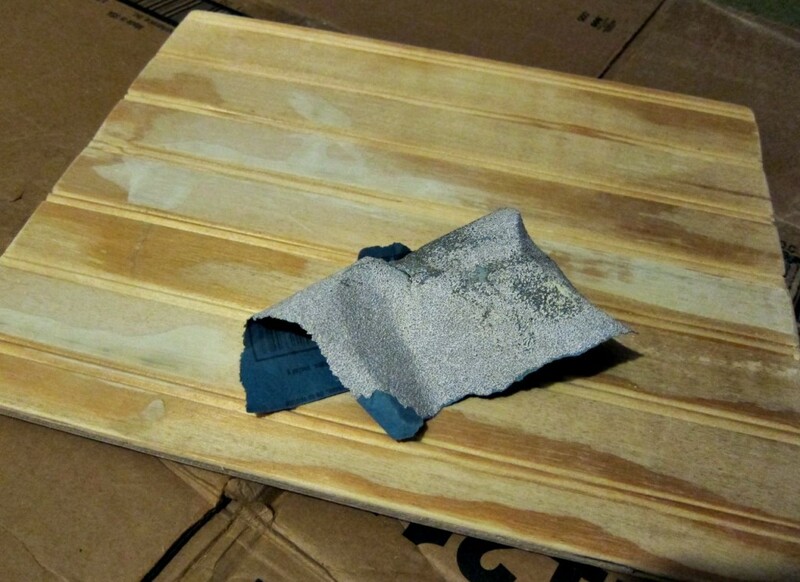 Once the stain is dry, your sign is complete! Style it where ever you want! 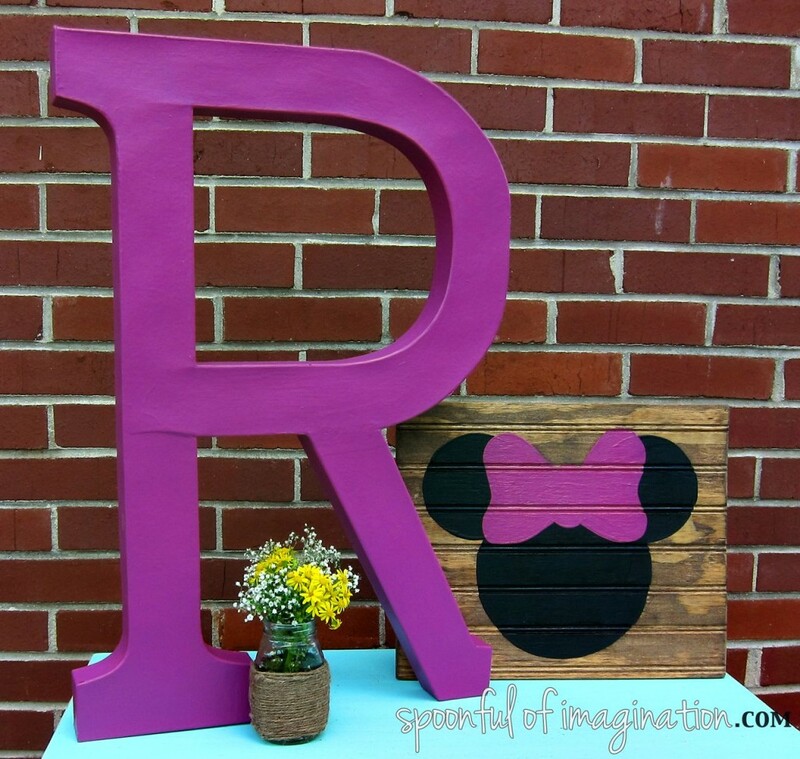 I think it makes a great decor item to a little girl’s bedroom, but it would also be an awesome gift to any age Disney fan! I can’t wait to pull Reagan’s room together this next week! Be sure to follow me on twitter and instagram to get pics and updates of the whole moving process and sneak peeks of Reagan’s room getting pulled together. I hope you have a great weekend, and I will try to post again soon! This turned out so cute! 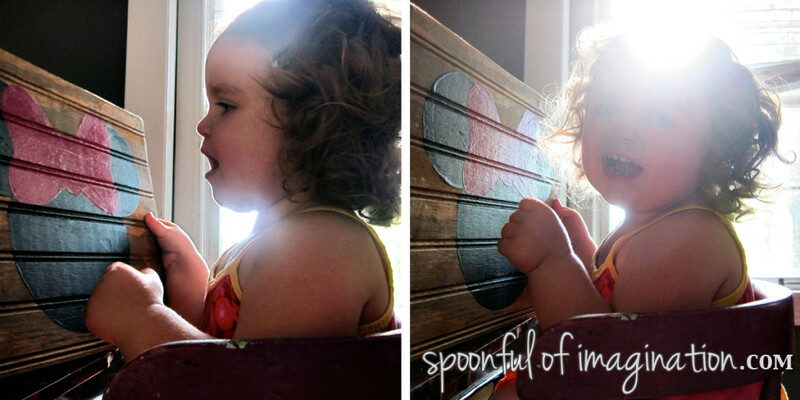 Can’t wait to see her room when it’s finished! I am in AWE of your ability to do projects and get blog posts posted in the middle of MOVING and homeschooling 3 small children! I had a lot of break downs Sally….I feel like I just ran a marathon and might still be in it!? Simple things exhaust me and I think its cause Im on fumes. It’s getting better though…hahah prob why I am blogging again. Miss you sweet friend! Will you be there on the 17th? Awesome job! I love the idea of adding stain to the sign. Looking forward to your big reveal!